Walter Charles Murray, educator (b at Studholm, NB 12 May 1866; d at Saskatoon 24 Mar 1945). A philosophy professor at the University of New Brunswick and Dalhousie, Murray became president of UNIVERSITY OF SASKATCHEWAN in 1908, a position he held for 29 years. Walter Currie, teacher, administrator (b at Chatham, Ontario 1 Oct 1922). He was among the earliest activists in Indigenous educational reform during the period after the Second World War. Walter Sieber, administrator (b at Jonschwil, Switzerland 1941). After receiving his diploma in administration from the École supérieure de commerce de Neufchâtel, Walter Sieber left Switzerland to settle in Québec in 1966. William (Bill) Needles, CM, actor, teacher (born 2 January 1919 in Yonkers, New York; died 12 January 2016 in Alliston, Ontario) William Needles is best known as a founding member of the Stratford Festival, where he appeared in over 100 roles. William (Willy or Willi) Amtmann. Historian, violinist, b Vienna 10 Aug 1910, d Ottawa 22 Jul 1996; B MUS (Toronto) 1950, M MUS (ESM, Rochester) 1952, D LITT musicology (Strasbourg) 1956. He received a diploma after studying 1924-30 at the Vienna Academy of Music and arrived in Canada in 1940. Yaron Ross. Pianist, teacher, b Tel-Aviv 28 Apr 1950, naturalized Canadian 1986; BA (Tel-Aviv) 1975, Artist Diploma (Tel-Aviv) 1977, D MUS (Montreal) 1994. Yolande Villemaire, teacher, writer (b at St-Augustin-des-Deux-Montagnes, Qué 28 Aug 1949). After studying dramatic arts at UQAM, where she received her BA (1970) and MA (1974), she taught creative literature at the Rosemont CEGEP. 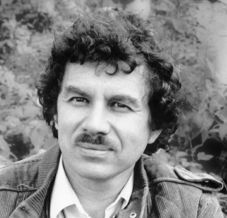 Yves Beauchemin, writer (b at Noranda, Québec; d 26 June 1941). Before becoming a Radio-Québec researcher, Beauchemin taught and worked in publishing. 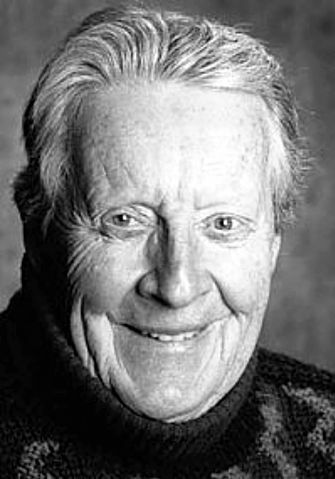 Yves Wilfrid Clermont, anatomist (born 14 August 1926 in Montréal, QC; died 10 October 2014 in Montréal). An outstanding teacher of histology, Clermont was best known as a specialist in male reproduction. Yvon Charbonneau, teacher, president of the Centrale de l'enseignement du Québec (CEQ) (b at Mont-Laurier, Qué 11 July 1940). After studying at Université de Montréal, Charbonneau taught French and the humanities in Québec and Tunisia in 1961-69.